What I relish most about about repeat-wearing an item is the warm, smug feeling it brings: How clever I was to have made such a wonderful purchase! How savvy! How thrifty! How impressed everyone around me should be! How much of a sustainability warrior and ecological icon I am! It's a particularly special and clearly inflated emotion because tbh, it's something that rarely happens. In fact, I'm the type of person to make a mistake and panic-purchase something (which is probably what I'm currently doing outside of writing this story; after all, fashion week is looming and I have nothing to wear). But I'm trying to get better at following my gut and not be swayed by trends. I'm working towards building a forever wardrobe, but my personal style doesn't lend itself all too well to classics and basics. I'm more of a psychedelic-printed dress girl than a camel coat–wearing one. So when I do locate the items that magically work for an extended period of time, they become the unicorns of my wardrobe. They're neither so safe and standard that they lack joy, nor so outrageous that they can't look relevant or new season after season, year after year. 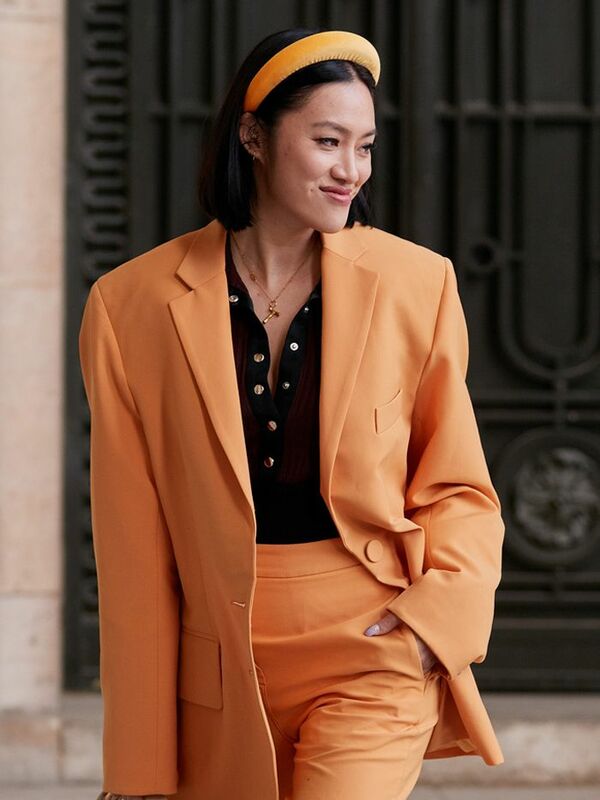 Why I Bought Them: It was a pre–London Fashion Week mad dash for footwear that felt comfortable (there's a lot of walking around and being on your feet from 8 a.m. to 11 p.m.) but looked smart. I've never been much good at wearing flats or sneakers, so sturdy mid-heel boots or shoes are my go-to options. What They Cost: I bought two pairs for £218. They were both reduced already by about 50% on Yoox.com (my secret source for shoe shopping). Why They're So Good: I got them in both chocolate brown and beige suede because they're so versatile. My style has always leaned towards the 1970s, but at the time, it was so hard to find pull-on knee-high or over-the-knee suede boots that looked good and went with everything. And they had to be pull-on because I have bigger calves in comparison to my size 3 feet (zip-up boots are not an option!). Although these are a bit battered now (see the toe-front), they just look vintage, which is no terrible thing. Everyone from Jeanne Damas to Rockins founder Jess Morris has asked me about them! If I were in the market for another pair, these ones from Charles & Keith would fit the bill nicely. They also come in black. Why They're So Good: The buckle alone is enough to lure me in—such expensive-looking detailing is pretty rare at this price point. I had to take them up a little as all trousers are too long on me, but apart from that, the fit is just how I like my trousers to be: a little bit baggy with a flash of ankle. This silhouette might not be tempting for those of you with fab legs who like your pants to be tight-fitting, but they're still a work staple that I wear every month without fail, two years on. Well, I know that I wear the cropped version on repeat, so perhaps a long, wide-leg pair will do nicely. Why I Bought It: I had been lucky enough to receive a Ghost dress as a gift from the brand's PR team, and was blown away by the fit and feel. Once I find something I love, I like to invest, so I bought another version for myself! Why It's So Good: I've said it before, but both the weight of the bias-cut fabric and the prints really do result in a quite flattering, easy frock. I love how this pattern and colourway kind of messes with your eyes—it's a statement that's surprisingly simple to throw on. I've worn this dress for everything from barbecues and fashion week to fancy dinners and office days. Different neckline and hemline, slightly different colourway and print… I think I can warrant another purchase considering how often I wear the other version! 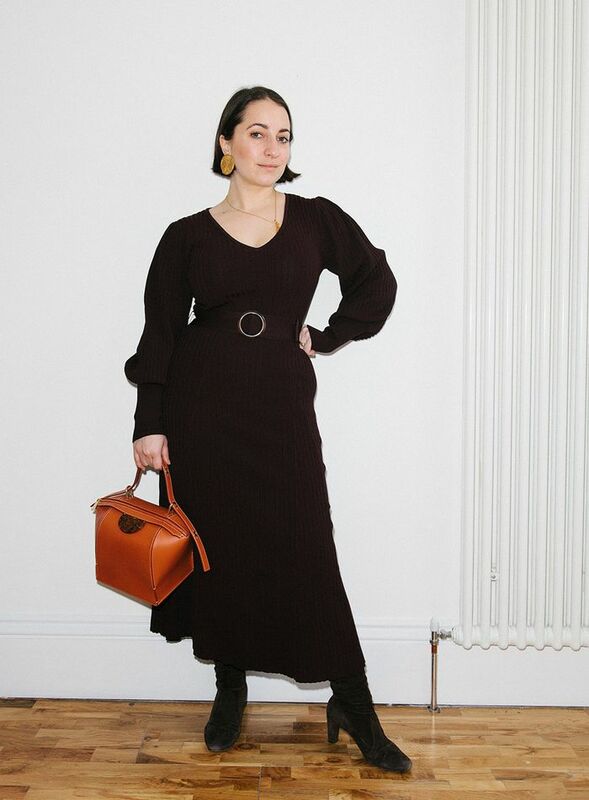 Why I Bought It: I wear a lot of high-waisted trousers and skirts, and often find that regular jumpers are too bulky and/or too long to be tucked into things smoothly. What It Cost: £160, but I had a £100 voucher for Harvey Nichols, so it came out to £60. Why It's So Good: I was reluctant to invest in a bodysuit (the memories of discomfort in the '90s still feel fresh), but one cannot compare Wolford's high-tech fabrics and pattern cutting to the cheap bodies I was wearing back then. This is made of a fabric that resembles thick, stretchy hosiery. It's super-sculpting and flattering, and the lower part stays in place. Celebrity stylist and Who What Wear UK columnist Avigail Collins has always recommended Wolford to me, and now I understand why. I would 100% buy another one of these in the future for the full price. The same version is still available in both black and white. Year of Purchase: Maybe 2014. Why I Bought It: I was in a thrift store in Brooklyn and fell in love. What It Cost: $15, so approximately £12. Why It's So Good: This 1970s handmade trouser suit won't appeal to all tastes, I know, but it makes me so happy. There's almost nothing more to it. It just sparks joy. I'm always on the lookout for amazing vintage pieces and particularly suits. This one is in mint condition and looks so unique. Why I Bought It: I've been a huge Sonia Rykiel fan for a long time and went into the store on a whim just to have a nosey around. As a junior on a magazine salary, it was completely insane that I bought this coat (or anything from the luxury brand) at the time. It was in the sale and I had a moment of madness, encouraged by my then-boyfriend, now-husband, Phill. What It Cost: It was around the £600. I know. And that was also in the Christmas sale. I was brassic for some time after. Why It's So Good: Being both navy and black, it ticked a lot of versatility boxes. It's a fairly relaxed coat but still quite fabulous with the asymmetric Mongolian lambswool collar, which is also detachable. It's a good length on me (I'm rather short) and doesn't drown my frame, however, it's still cosy and warm enough to wear on the coldest of days. It doesn't look like it's tied to any particular trend, so therefore, it will last as long as I continue to look after it! Just in case the Rykiel wears out. Next up, the best discount shopping sites.